For years, Child Richards CPAs & Advisors has been providing quality, personalized financial guidance to local individuals and businesses. Our expertise ranges from basic tax management and accounting services to more in-depth services such as audits, financial statements, and financial planning. Child Richards CPAs & Advisors is one of the leading firms in and throughout the area. By combining our expertise, experience and the team mentality of our staff, we assure that every client receives the close analysis and attention they deserve. Our dedication to high standards, hiring of seasoned tax professionals, and work ethic is the reason our client base returns year after year. Mr. Richards received his Bachelor of Arts and Master of Professional Accounting degrees from Weber State University and his Law degree from the University of Utah School of Law. He has been with the firm since 1995. He focuses on all aspects of taxation for individuals, businesses and estates. He has extensive experience in matters related to estate planning, business succession, tax planning, asset protection, real estate and corporate legal matters. Mr. Child received his Bachelor of Science and Master of Professional Accountancy degrees from Weber State University. He is experienced with various levels of attestation services including financial statements audits, reviews, agreed-upon procedures, and compilations. Mr. Child serves as the audit partner of the firm and oversees the firm’s work with auditing and accounting standards. He also works extensively in income tax preparation for businesses, non-profit organizations, and individuals. Mr. Wood received his Bachelor of Science in Accounting with a minor in CIS from Weber State University. He has been with the firm since 1975. He has served on the committee for the Utah Association of CPAs for governmental accounting and auditing. He has worked extensively in non-profit and governmental accounting and auditing for the past 35 years and also consults with small business and individuals for all their accounting and tax needs. Mrs. Johnson received her Bachelor of Arts in Accounting and Master of Accounting degrees from Weber State University. She has been with the firm since 2006. Her main areas of focus are the preparation of financial statements, income tax returns for businesses and individuals, as well as the processing of monthly accounting and sales tax returns. She also provides QuickBooks training for local business owners. 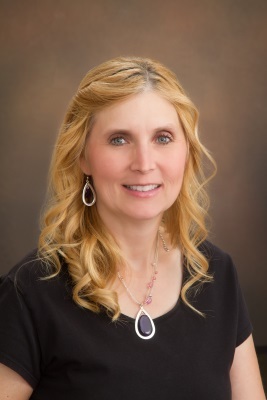 Ms. Bashford received a Bachelors of Arts Degree in Business Management followed by a Bachelor of Arts in Accounting as well as a Master of Professional Accountancy Degree with an emphasis in Taxation from Weber State University. She enjoys being involved in business set-up and structure, managerial roles and cost accounting, and loves to review the basics of reading financial statements to improve performance. She encourages talking to an accountant before life-changing events, and offers complimentary consultations for business and chart of account set up, as well as tax planning, feeling it is easier for everyone to get it right the first time. She teaches the basics of keeping good records, whether in a spiral notebook, in Excel, or keeping it easy in Quickbooks Software for first-time users. She reviews and cleans Quickbooks prior to tax preparation for businesses with a thorough scrub for a correct tax return, whether Schedule C or S-Corporation. She'll help you choose the option that's perfect for you! 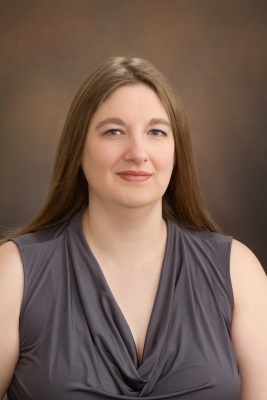 She specializes in taxation, and actually likes multi-year personal return complication repair, IRS Notice solutions, as well as Rental Properties, Farms, and searching for itemized deductions on personal returns. Ms. Eilander received her Bachelor of Arts in Accounting and Master of Business Administration from University of Phoenix. She received her QuickBooks certification in 2017. Her main areas of focus include small business accounting, preparing and filing sales tax returns and providing local business owners with QuickBooks training. Mr. Cole received his Bachelor of Science in Accounting from Utah State University in 2011 and his Masters of Business Administration from Southern Utah University in 2017. His work experience, after obtaining his bachelor’s degree, includes accounting for nonprofits and specialized advisory work in the dental industry. He is dedicated to helping clients achieve business success by helping them establish practical, legal, and sound financial processes. As part of our firm he prepares financial statements, performs monthly accounting, and provides income tax preparation for both businesses and individuals. In his free time he loves to camp, snowmobile, ride ATVs, watch sports, and is a buffet enthusiast. Mrs. Fielding received her Bachelor of Science in Accounting at Weber State University. Her main areas of focus are the preparation of financial statements, income tax returns for businesses and individuals, as well as the quarterly processing of payroll taxes and sales tax returns. She plans to pursue her Master’s Degree and go on to receive her CPA license. She also enjoys spending time with her family, reading a good book, and barrel racing in her free time. Mrs. Davies previously worked for the Office of the State Auditor for about eight years. Her time there included financial audits, single audits, and special projects. She led audit teams in completing audits of State Departments, State Agencies, and Utah Colleges and Universities. With our firm Mrs. Davies has worked with a variety of clients, providing both accounting and auditing services. She has a strong knowledge of internal control and works closely with clients to improve their processes and controls over financial reporting. Mrs. Davies is experienced with all audit stages from planning to financial statement preparation and believes in maintaining strong client relations and providing quality work. 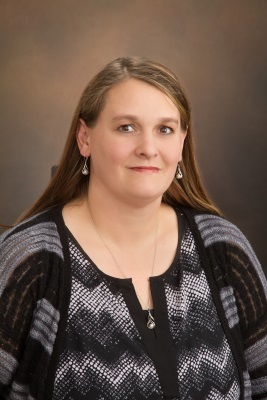 Ms. Allen has worked for the firm for three years in auditing and accounting, and is currently working on her Masters in Accounting at Weber State University. She has primarily spent her time auditing governmental and non-profit entities. She is experienced in the preparation of the audit report and financial statements. 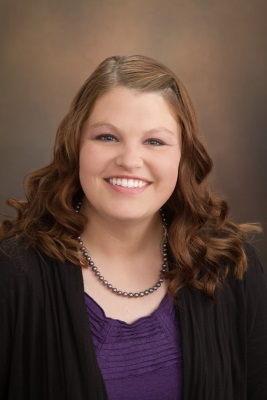 Mrs. Nelson is currently a student pursuing a Bachelor of Science in Accounting from Weber State University, with the plan to continue through the Master of Accounting program. She has worked in banking and as a bookkeeper for small businesses. She works on audits and reviews as well as helping prepare tax returns. She is married and has 3 kids. Her favorite thing to do outside of work is travel to see new places and eat new foods. Her favorite places to visit have been Rome and Beijing. Ms. Spencer received her AA from Eagle Gate College and has worked for Wood Richards & Associates since 2007. Her main focus is the day to day operations of payroll processing for many of our firms clients. She also handles quarterly processing of payroll taxes and the preparation of financial statements. Ms. Sheffield received her Bachelor of Arts in Accounting from University of Phoenix. She has worked for the firm since 2014. Her main focus is the day to day payroll processing for Capitol Payroll LLC, as well as processing payroll taxes. Ms. Heines received an Applied Science Degree with an emphasis in Business from USU in 2003. She has been with Wood Richards and Associates since 2004. Her main area of focus is taking care of billing, client questions, making appointments, assembling tax returns and general office issues. Mrs. Benson has been with the firm since 2013. Her main area of focus is taking care of clients, social media marketing, scheduling appointments, and assembling tax returns. She will be the first person you meet as you walk in the door. © 2019 Child Richards CPAs & Advisors All Rights Reserved.